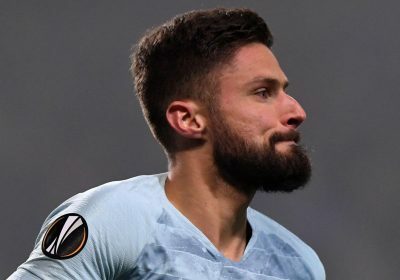 They scraped past BATE Borisov in Belarus thanks to an Olivier Giroud goal – but the result merely masked a host of flaws. While some big names may have been rested – with in-form Alvaro Morata even left at home – there was enough talent to put this Europa League tie to bed early. With Ruben Loftus-Cheek and Ross Barkley joined by Jorginho in midfield and Eden Hazard back in the starting XI this should have been regulation. Call it complacency, call it a weakened team, call it what you want. Simply put, Chelsea were average. Maurizio Sarri's men dominated the ball with well over three-quarters of the ball in the first half alone. Yet the teams went in goalless. But despite that, Chelsea created just six chances – NONE of which ended in a shot on target. No wonder Sarri is in the market for a new creative spark, with Callum Wilson – fresh from his first England call-up – a reported target. Lyon star Nabil Fekir could also be on his way having claimed he can't see himself staying at the Ligue 1 club beyond this season. Giroud may have scored the opener in Belarus, but – much like his time at Arsenal – he's proven to be not good enough to be a starting striker. It's a worry for Chelsea, ever since Diego Costa left, that their out-and-out striking ranks lack depth and genuine quality. Hazard is world-class. Pedro and Willian are crucial, talented stars. But in the middle of the attacking trio it's Morata or Giroud. That's not winning any team any trophies any time soon. Giroud scored with the first shot of the second half – his opening goal of the season – with a header. But all in all, fans should not take from this game anything other than reports in the media regarding a new striker are fully justified. After all, the Blues continued to dominate the ball completely, showing their midfield talent, but failed to to kill off the game. Sarri knows where his squad is weakest, even though the likes of Gary Cahill have failed to inspire this season. Chelsea need a striker. Without that, they can kiss the idea of any silverware this season goodbye.